Mum isn't known for her sense of humour. We often have to explain our jokes to her. Having five children who love kidding around, that's a lot of 'splainin' to do, Lucy. She's adorable in her naivety. When she makes us laugh, it's usually by accident, but every now and again, she gets it right on purpose. Sunday morning she shared this musical parody. I'm just paying it forward. 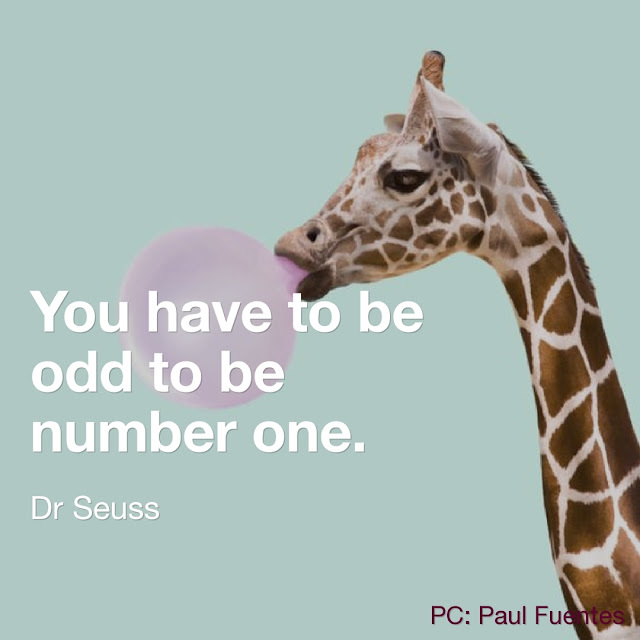 You may be weird. That does not mean you're a loser. It makes you Number One in my book. Dr. Seuss' as well. Poor Kurt Cobain would have risen from the dead only to die from embarrassment knowing his face graced my bedroom wall at the same time as a Backstreet Boys poster. The horror! A lot has changed for me since the 1990's. Pinks and feminine florals no longer repulse me, my taste in music is now much more inclusive, and I've even quit smoking. The bad taste in my past is something I'm quite comfortable admitting to now, but SMH. Why, oh why, was I ever into this other 'N Sync guy? Here's a song for those times you just want to do it.